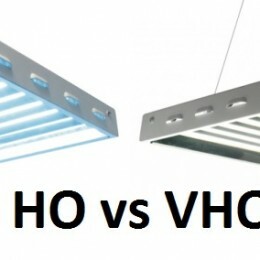 Traditionally we mostly review plant grow lights on our website however once in a while we stumble upon an amazing fixture that although still is a T5 High Output (HO) fixture is meant for aquariums rather than plant growth. 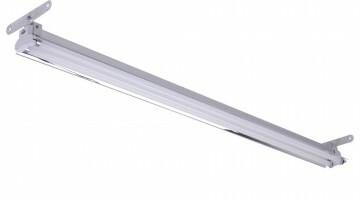 And one of these fixtures is this dual lamp fixture that is great light perfectly tailored to be used as aquarium light giving any 4 feet long aquarium great and beneficial lighting. This particular lamp has small electricity consumption because it will chew up only 108 watts of power, but in return the fixture will give out light that is 10,000 lumens worth and that will surely let your aquarium life thrive. 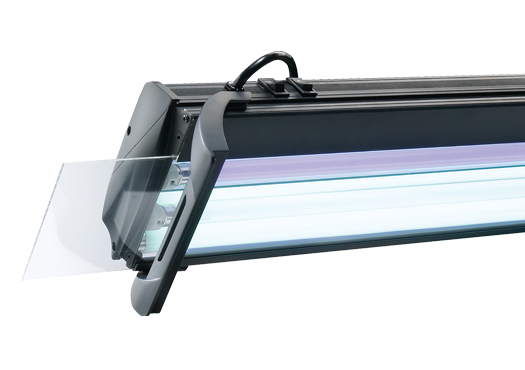 It also is constructed with great materials and fitted with special Coralife actinic T5 lamps that will triple your light output giving your aquarium the best possible lighting. 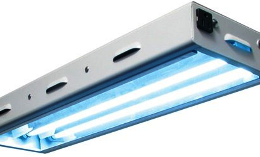 This Aqualight brand fixture is made by the company Coralife who is one of the main aquarium product manufacturers. 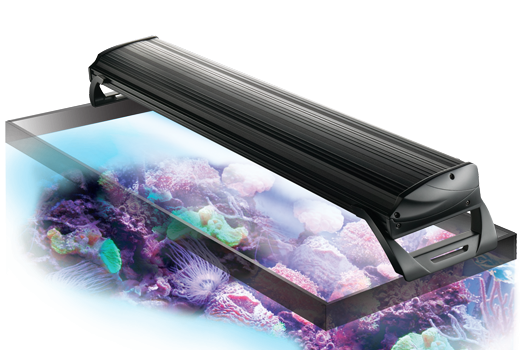 They make different lights and equipment that are suited for both freshwater and saltwater aquariums and that come with many different features making them perfect for any aquarium owner from hobbyists to professionals. 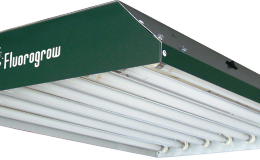 The housing of this grow light is made from powder coated aluminum which means that this aquarium lamp will be light enough to be placed over any aquarium. And the fixture comes in effortless black color so it will be neutral enough to fit into any environment. 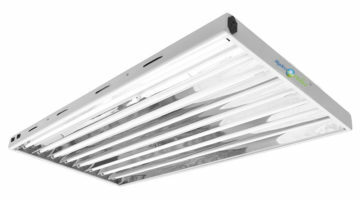 If you are worried about what kind of light this fixture gives out and how powerful it is then don’t be, because the lighting that illuminates from this lamp will be bright enough to penetrate even the deeper levels of your aquarium. And the color temperature of the light is 10,000 Kelvins meaning that the light will appear as daylight white light and it will be in the perfect color for any type of aquarium and aquarium life from plants to reefs to fish. 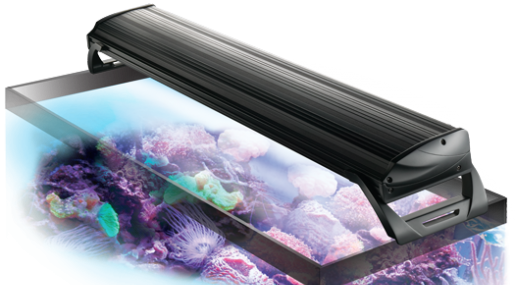 Because this is a specially designed aquarium light it has acrylic splash guard that will protect the T5 bulbs from water damage. 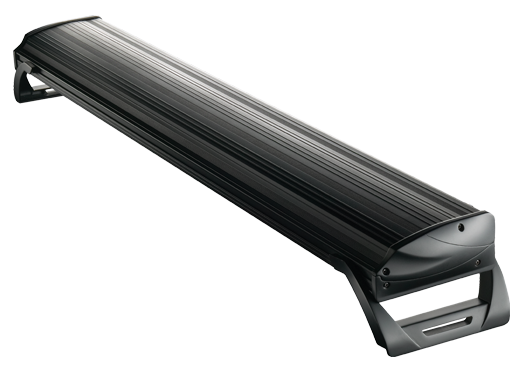 And the fixture also comes with special mounting brackets that can be adjustable to fit any and all aquariums that are around 48 inches and meant to be equipped with aquarium lighting. 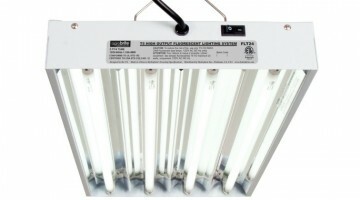 Because the dimensions of this aquarium light are 48 x 2 x 5.1 inches (121.92 x 5.08 x 12.95 cm) and the fixture weights only about 4.9 lbs. 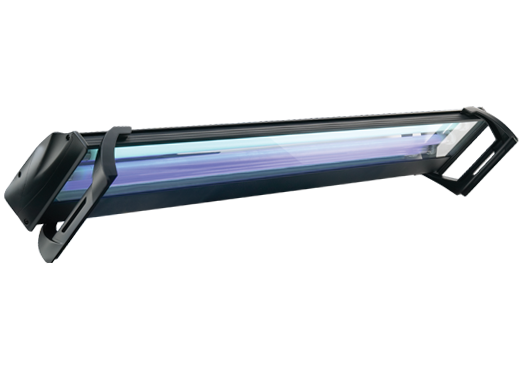 (2.22 kg) the light is low profile and will be easy to set up and more if the necessity occurs.